As today is Mother’s day I thought I would do a post to show you what I bought my mum for mother’s day. My mum is a big perfume fan and gets through quite a lot so I thought I would buy her a new perfume, but wanted to go for something a bit more unusual. I was recently introduced to perfumes by Benefit when I received a sample in a gift set I was given for Christmas and I bought the Crescent Row Limited Edition Set in the January sales. 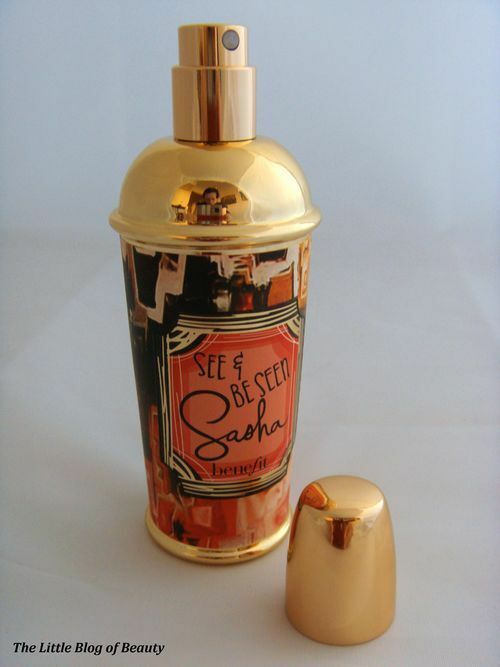 So I thought I would buy my mum a full sized Benefit perfume and decided on See & be Seen Sasha. I love the boxes that Benefit perfumes come in. 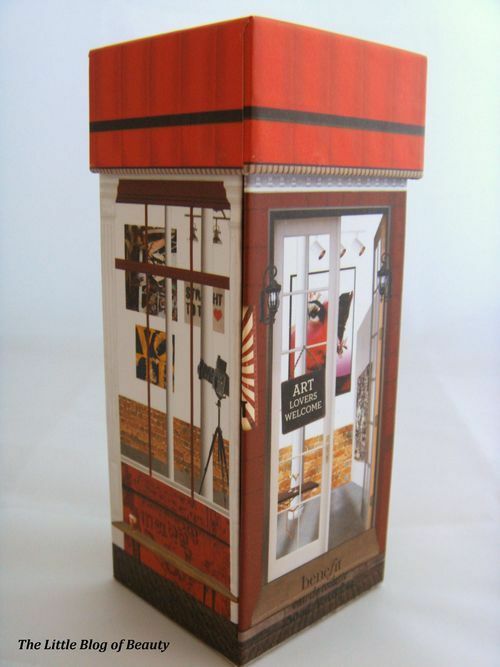 Each box is decorated to look like a building with the Sacha box being some kind of art gallery or studio. The lid is designed to look like a roof and when you pull this back the front panel of the box drops down to reveal the perfume. 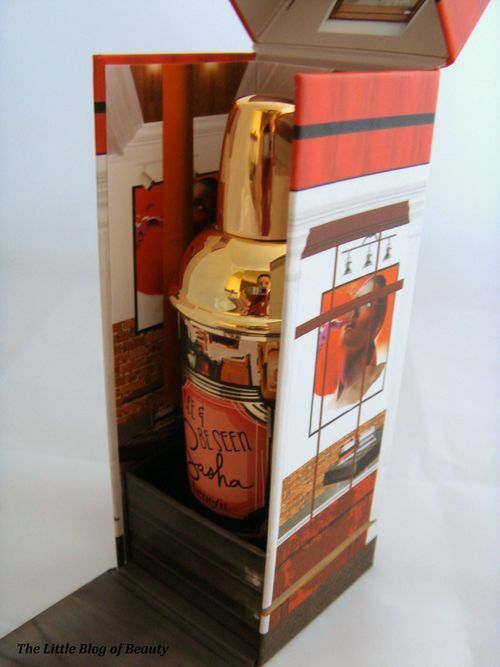 The inside of the box is also decorated in the same theme and the perfume is held in place in the center of the box with a piece of foam that the bottle sits securely inside. I thought the bottles for Benefit perfumes were really unusual looking, I had never seen perfume bottles that look like this before, but then my boyfriend informed me that this is what perfume bottles used to look like many years ago. So on to the perfume itself. 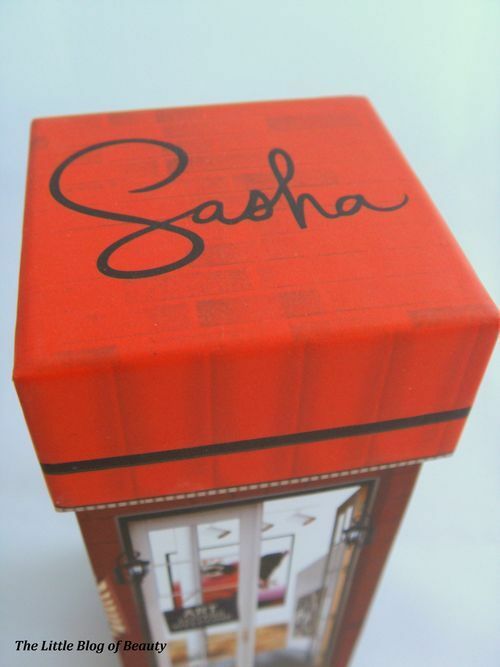 Sasha has top notes of orange flower absolute, apricot and pink freesia. Middle notes of ylang ylang, white peony and jasmine sambac and base notes of crystal amber, liquid musk and vanilla (taken from the Benefit website, I don’t have a magic sense of smell that could work all of these out!). Unfortunately I won’t be with my mum on Mother’s Day but I hope she loves this. 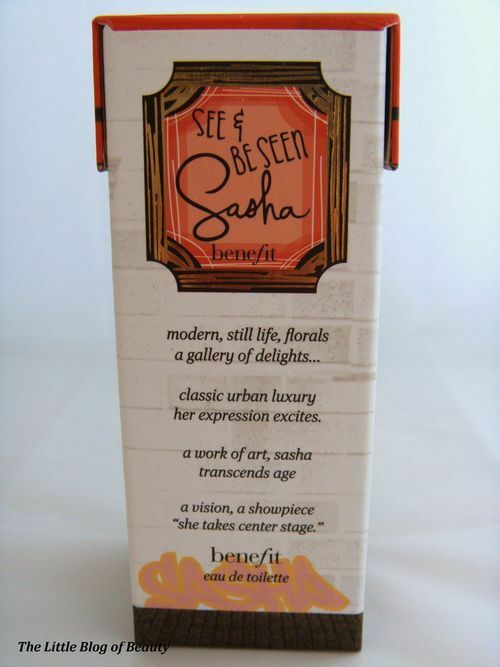 See & be Seen Sasha is £29.50 and is available from the Benefit website and from the usually concessions in Debenhams, Boots etc.